The new waste-gas heat exchanger enables the Hansa unit and many boilers of renown producers to be improved to energy saving condensing systems. This will save between 10-40% of energy costs while the service friendly revision lid is minimizing maintenance costs. 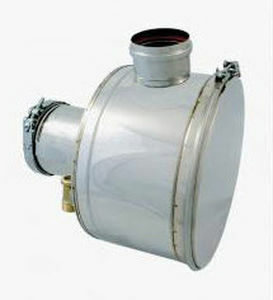 In addition its anti-noise feature is decreasing its operational noise.